For Jofemar’s ‘J-Suite’ tool to work effectively, and for end customers to be able to monitor the operational status of their vending machines, the machines would need a reliable connectivity solution. With sales of vending machines expanding outside of their home country of Spain, connectivity would also need to be scalable globally. 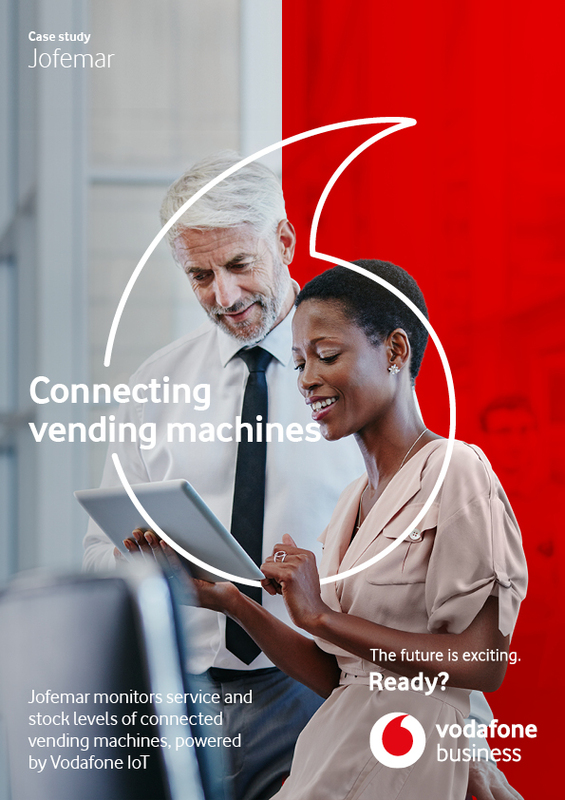 The Vodafone Managed IoT Connectivity Platform enables Jofemar to install managed vending machines anywhere in the world. Information captured by the machines’ internal and external sensors can then be transmitted securely to Jofemar servers, enabling customers real-time access to their vending machines via Jofemar’s ‘J-Suite’ application. Customers can access incident reports, data on sales & accounting and even deliver real-time price updates across groups of machines.